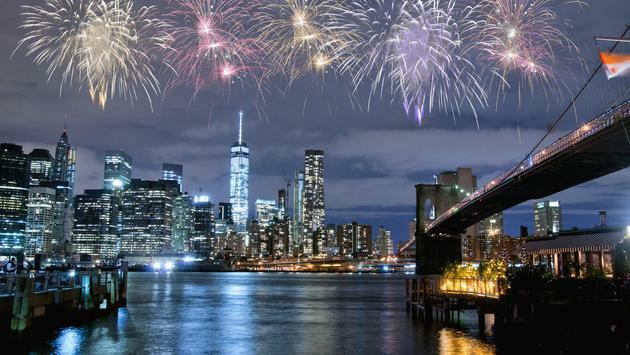 New York City attracted a record 65.2 million visitors in 2018. Canadians have helped push two American cities to record tourism records. Los Angeles said it reached a historic milestone in 2018, welcoming 50 million visitors for the first time ever and accomplishing the destination’s ambitious tourism goal two years early. Canada was responsible for a 780,000 of those visits, up 4.5% from 2017. Meanwhile, New York City announced that more than a million Canadians flocked to The Big Apple last year, helping the city set a record of 65.2 million visitors. In a move to enable people to further experience all the city has to offer, NYC & Company, the city’s tourism group, and Mastercard announced a new global, multi-year partnership. New York Restaurant Week runs from Jan. 21 to Feb. 8, 2019. 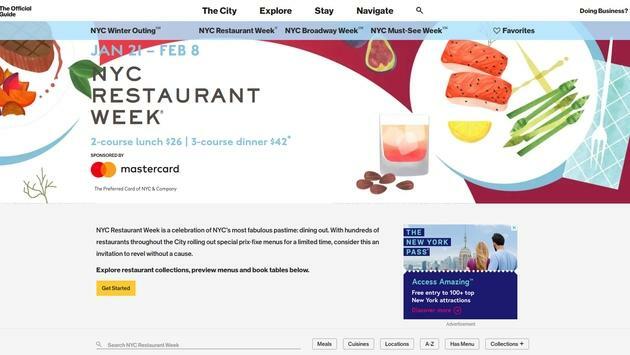 From NYC & Company’s iconic programs including NYC Restaurant Week, NYC Broadway Week and NYC Must-See Week to its other citywide initiatives, NYC & Company and Mastercard will collaborate to bring all that is Priceless about NYC to life. In addition, Mastercard will also become the preferred payment technology partner of NYC & Company and will be integrated into the organization’s global tourism promotional efforts. The partnership comes as NYC & Company releases its 2018 year-end tourism figures. Last year, the City welcomed a record 65.2 million visitors, comprising 51.6 million domestic visitors and 13.5 million international visitors. Last year represented the ninth consecutive year of tourism growth. A record 37.7 million hotel room nights were sold citywide in 2018, generating $623 million USD in estimated hotel occupancy tax revenues. The top five international markets for 2018 NYC visitation were: UK (1.24 million); China (1.1 million); Canada (1 million); Brazil (920,000); and France (807,000). Restaurant Week, NYC Broadway Week and NYC Must-See Week are all part of NYC & Company’s new NYC Winter Outing initiative, a bundle of offers that encourages visitors and locals to enjoy the city’s restaurants, theaters, museums, attractions and performing arts from Jan. 21 – Feb. 10. More information can be found at nycgo.com/nycwinterouting. 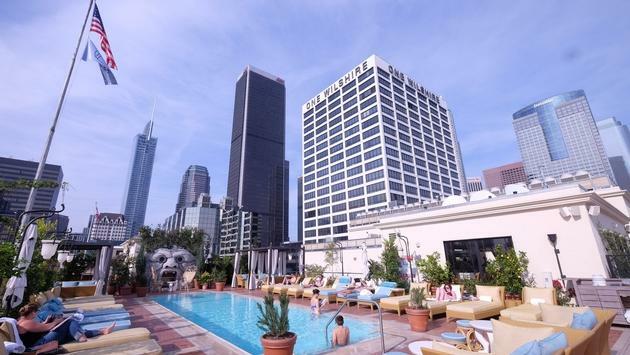 The rooftop pool at The NoMad Hotel Los Angeles is one of the city's best. Meanwhile, across the continent, the new Los Angeles record of 50 million is 1.5 million visitors higher than 2017’s total – a 3.1% increase. That marks the eighth-consecutive year of tourism growth for one of the cities Canadians love to visit most. In surpassing 50 million total visitors, Los Angeles set new tourism records for domestic and international visitation, hosting an estimated 42.5 million domestic visitors (up 3%) and 7.5 million international visitors (up 3.6%). 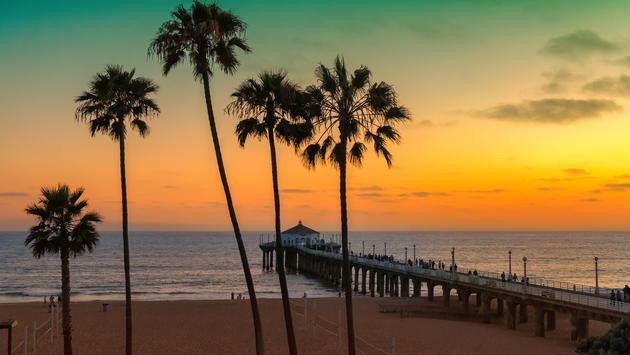 Canadian visits to Los Angeles rose 4.5% last year. China recorded an all-time high 1.2 million visitors, making Los Angeles the number one ranked U.S. city for Chinese travelers (a 6.9% increase, the largest net gain among all international markets except for Brazil). L.A.’s tourism growth can be attributed to several factors including a 3.6% increase in international seat capacity at Los Angeles International Airport (LAX); nearly 2,000 new rooms added to the destination’s hotel inventory; L.A.’s growing reputation as a hot culinary and cultural destination; as well as L.A. Tourism’s latest global campaign, ‘L.A. Loves’ which extended and amplified a message of welcome and hospitality following the acclaimed ‘Everyone is Welcome’ initiative.